locomente...: Thank you – A 75,000 times!!! Thank you – A 75,000 times!!! 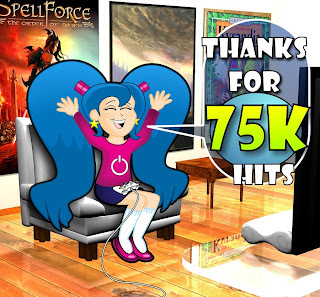 THANK YOU – A 75,000 TIMES!!!! Yay!!! Its platinum jubilee celebration time… I am so happy. Celebration time always tickles me. I giggle like a teenager and dream of dancing like a peacock. I wish to jump up and reach out to the sky. I never thought I could write regularly. My baby blog taught me to observe, think and capture. It made me think differently and write habitually. The blog made me explore into a new foray – Haiku. Thanks to a blog friend, Valli. Her blogs introduced me to the World of Haiku. Initially, I didn’t understand the concept. I erred. Then, like a little tot, I learnt from my mistakes. I have to thank my little brother, Vijay. He used to ruthlessly slaughter me whenever I commit spelling mistakes callously. His criticism would scare me. So I used to read and re-read my blog posts ensuring spelling mistakes are minimal, if not eliminated in total. There was a time when I used to keep my fingers crossed expecting “Locomente” to appear in Google search. Now, my blog is ranked among the best Indian blogs of the year 2011-2012. The growth has been phenomenal and I feel like a proud parent. A child is not only influenced by its parents but by its surroundings also. So, I am here to thank my stars – my readers. Oops! But, I don’t know how to thank my patient and encouraging readers. A “thank you” would be too formal and too minimal. They are helping me to grow. They are supporting me and making me write more. Didn't come online for a while...So commented late...Sry for that!